One of the most unexpected highlights of publishing my first novel (hey, see how I’m calling it “my first novel” to motivate myself to dig into the next one? ), has been the support of other authors, new and established. The novelist Meg Waite Clayton is one of those established authors who consciously create and nurture community. (See also, Amy Sue Nathan, Therese Walsh & Kathleen Bolton, Christina Baker Kline, Jenny Milchman and Kamy Wicoff, to name a few.) 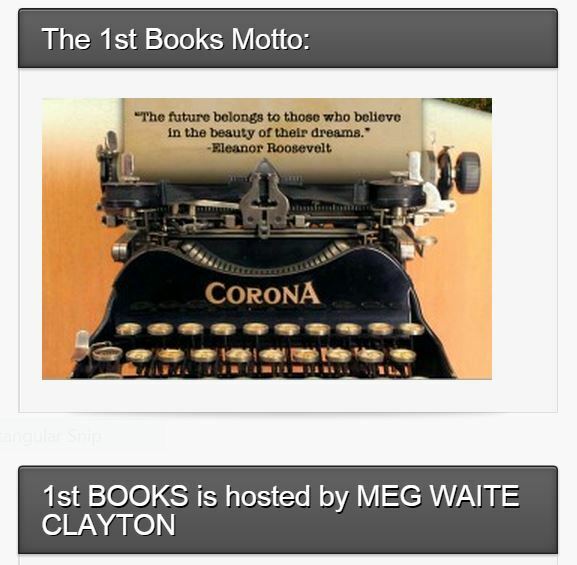 Meg Waite Clayton’s website and “1st Books” blog is an amazing resource for writers and readers, and I’m honored to be her guest writer this week. Authors like Meg are the kind of author — and person — I’ll aim to be: generous, supportive, and inspiring. Sure, there are those who arrive in the promised land of bestsellerdom only to pull up the ladder behind them. But I haven’t met them. Here’s to those who reach the ladder down for the next person to climb up and check out the view, and in so doing create a happier, more loving, and more literary world. Here’s my piece on Meg’s blog. While you’re there, sign up for her newsletter to keep apprised of her writing and events.